People who live with diabetes have to be extra careful about what they eat in order to manage their condition. Meal delivery services with specialized menus for diabetics make sure you get all the essential nutrients you need in order to stay healthy and keep diabetes under control. Balance by BistroMD allows you to create your own custom meal plan by freely choosing from its impressive selection of diabetic-friendly breakfasts, lunches, dinners, snacks, and shakes. Silver Cuisine by BistroMD specializes in chef-prepared meals for special diets. Its diabetic-friendly meals can help you manage your diabetes while enjoying delicious food throughout the day. AARP members receive 10% off every order and get free shipping on their first order. South Beach Diet is a diabetic-friendly meal delivery that provides healthy, low-carb, high-protein meals and snacks designed to help you get fit while keeping your blood sugar levels in check. Managing diabetes while losing weight has never been easy. 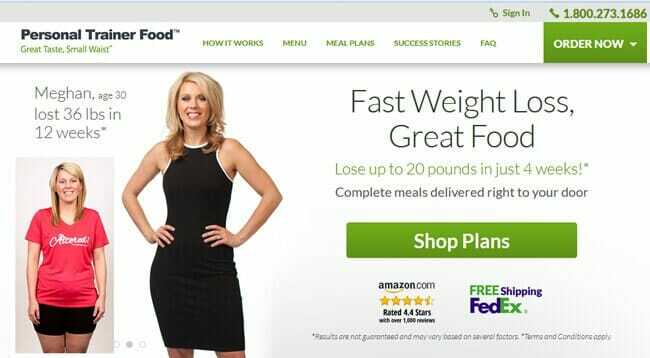 Well, not until Nutrisystem appeared on the market. Now you can quickly burn those pounds while keeping your condition under control. 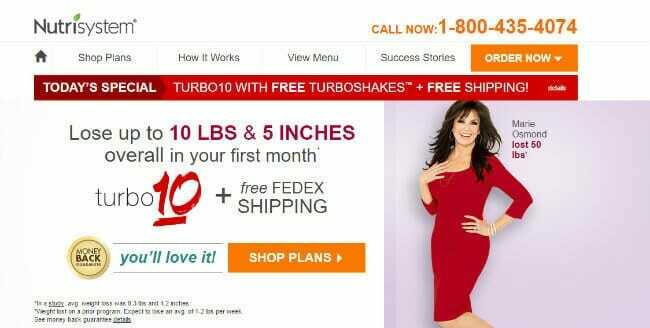 Get $100 off + Free Shakes + Free FedEx Shipping!!! Whether you have diabetes or are just trying to prevent it and lead a healthy life, Home Bistro has you covered; all you have to do is choose from a wide selection of well-balanced diabetic-friendly meals. Diet-To-Go is the place to go for people who want to manage or prevent diabetes. Its Balance-Diabetes menu follows the American Diabetes Association guidelines for carbohydrates and fat. Medifast offers clinically proven weight-loss plans suitable for diabetics. It provides the handy Medifast for Diabetes guide that helps you choose the plan that perfectly suits your needs. Magic Kitchen offers carefully designed meal programs for special diets, including the excellent 1-Person Diabetic program. Opt for automatic deliveries or order from the A La Carte menu. Personal Trainer Food offers 4 excellent weight loss plans that can be easily customized for diabetics and pre-diabetics. Choose a pre-defined plan or the fully customizable You Choose plan. 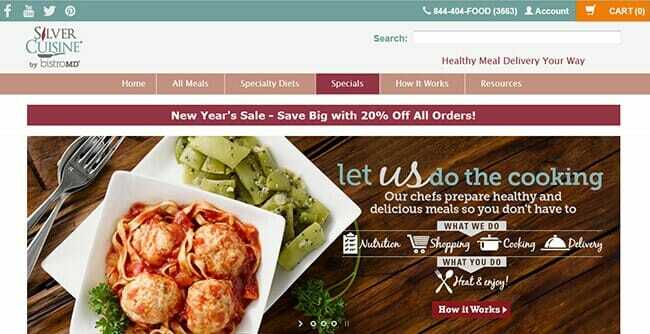 Mom’s Meals is famous for its affordable, fresh-made meals for special diets. It has a rich diabetic-friendly menu and lets you decide on the quantity and selection of the meals in your order. Just because you have pre-diabetes or type 2 diabetes doesn’t mean you should only eat bland, unappealing, and repetitive food. Meal deliveries can help you introduce some much-needed variety and flavor into your diet. Reputable meal deliveries for diabetics use only top-quality, fresh ingredients, allowing for a perfectly balanced diet and preventing you from gaining weight and exacerbating your condition. They provide you with a calorie count for each meal to help you keep your weight in check. The best diabetic meal delivery services usually employ certified chefs to ensure the restaurant-grade quality of their meals. In other words, meal deliveries for diabetics can help you either maintain your body weight or shed some pounds without starving yourself. With the companies on our list, you can either choose some of the pre-set meal plans or build your own from the a la carte menus. Each of them focuses on meals with reduced sugar, sodium, and simple carbs. Fresh, nutritious vegetables, healthy fats, and lean meats are the staples of diabetic-friendly menus you’ll have at your disposal. Meals are usually delivered periodically, depending on the specific company. In most cases, though, you will get your weekly or bi-weekly order in insulated boxes and quality packaging that guarantees the maximum safety of your food. It goes without saying that this saves a lot of time, money, and effort. You can finally take a break from all that grocery shopping and make better use of your time. As all diabetics know all too well, coming up with interesting and inventive meal ideas day after day becomes difficult after a while. You simply run out of ideas and you definitely run out of patience when you have to carefully calibrate every single macro and micronutrient. That’s what makes diabetic meal delivery services both useful and incredibly convenient. Depending on your chosen plan, you can eliminate planning, shopping, cooking, and cleaning at least a couple of nights every week. The best meal delivery services for diabetics employ actual chefs, who design new delicious, mouth-watering recipes or rotate previous dishes after enough time has passed. The companies also make good use of high-quality seasonal ingredients and spice things up with some tasty seasonal recipes. In addition to diabetic-friendly meal delivery plans, you can also make other specific requirements, such as vegetarian or vegan, gluten-free, organic, locally sourced or ethically produced food – the best meal deliveries for diabetics have highly customizable menus. Of course, if you have allergies or intolerance to certain foods, you can let the company know and they’ll make sure to eliminate those ingredients from your meals. Most of these companies have excellent support teams that you can reach out to in case you have any doubts regarding your menu and some of them even offer various online resources you can consult to learn more about eating and living healthy. A good diet for diabetics incorporates only the healthiest food in moderate amounts and hinges on sticking to regular mealtimes. Your eating plan has to be rich in nutrients and low in fat and calories, primarily featuring whole grains, fruits, and vegetables, which can help you manage your weight and control your blood sugar, blood fats, and blood pressure. In order to fit the best diabetes diet into your busy schedule, we have comprised this list of the best meal deliveries for diabetics on the market. In order to secure a spot on our list, each of the companies had to pass our rigorous testing circuit and meet all of our ranking criteria. In order to familiarize you with the testing process, we’ll share some of the most important ranking factors. Meal options is our primary ranking criterion, which we use to gauge the overall portfolio of each company. We want to see as many meal options as possible, which can accommodate the individual dietary needs of all users. The possibility of meal customization is also a huge plus, allowing you to avoid the ingredients you are allergic to or simply don’t like. Variety is also very important since we don’t want to expose you to bland and repetitive weekly menus. We want to see rotating menus with new delicious meals every single week. Nutritional value and portion size are two ranking factors that go hand-in-hand. We inspect whether any particular meal delivery for diabetics can provide you with tasty dishes while meeting all your daily nutritional requirements. On the other hand, portion sizes are pretty subjective, so we can only explore this factor in conjunction with other criteria. Finally, we take a look at the overall subscription flexibility as well as the prices. We want you to be able to pause or cancel your subscription whenever you so choose or skip your delivery without any hidden penalties. The value offered for the price also influences the final positioning on our list. The following price comparison is designed to help you easily figure out which of our top-ranked diabetic meal delivery services best fits your budget. We have brought all the pricing information to one place, including the shipping costs and details about the companies’ delivery areas, so you can identify the perfect fit in a single glance. What all of our top picks have in common is that they are currently the best on the market. 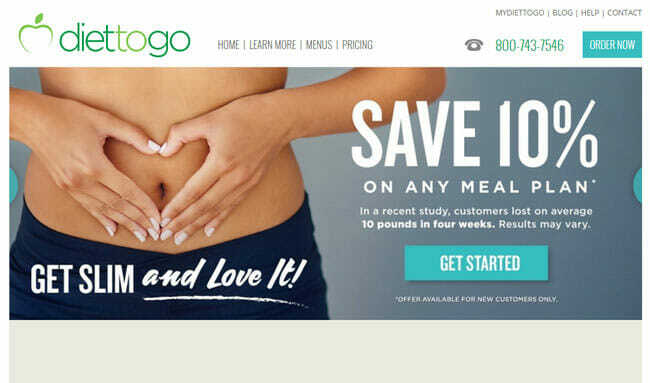 Now it is time to discover what makes each of these meal delivery companies for diabetics unique. Explore their distinctive features in the mini-reviews below and choose the one that best satisfies your personal needs. Balance by BistroMD offers meals specifically created to keep your glucose levels in check. It features a diabetic-friendly menu with entrees containing only 25 grams or fewer of net carbs. Each of its chef-prepared meals is made with all-natural and fresh ingredients in order to achieve amazing flavors while meeting the requirements of a gluten-free diet. Balance by BistroMD offers a wide variety of doctor-approved, delicious, and portion-controlled meals, making sure there’s something on the menu for everyone. Silver Cuisine by BistroMD is a meal delivery service that can help you keep your diabetes under control at all times. Its diabetic-friendly menu offers entrees with fewer than 25 grams of net carbs, which are perfect for maintaining your blood sugar levels. All meals are doctor-approved and prepared by experienced chefs using only fresh and all-natural ingredients and high-protein nutrients. The company’s menu features a wide range of tasty, portion-controlled meals, so you’re bound to find just the right combination of flavors for you. 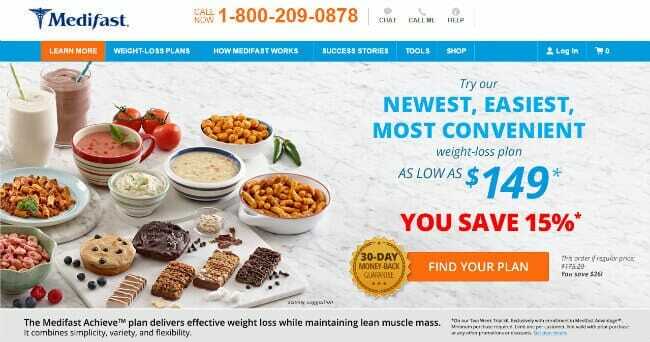 South Beach Diet is an affordable weight loss meal delivery program that offers diet meals and snacks that rely on lean proteins and healthy fats. All menu items are low in added sugars and do not contain refined carbs. The program is diabetic-friendly and designed to help you get slimmer and healthier by enjoying light, low-carb, low-sugar meals and snacks 6 times a day. You do not only get to easily manage your diabetes but may also lose up to 9 lbs. in 2 weeks. Nutrisystem offers a low-fat, portion-controlled, low-calorie program designed to help individuals with type 2 diabetes achieve impactful weight loss. The program is called Nutrisystem D, featuring 3 different meal plans. Nutrisystem meal plans can help you regulate your blood sugar and lose weight at the same time without jeopardizing your health or missing essential nutrients throughout the day. Whether you live with diabetes, have a genetic predisposition toward diabetes or are just looking to balance out your blood sugar to maintain a healthy lifestyle, Home Bistro may be just the meal delivery you are looking for. The company offers a selection of meals that are lower in carbohydrates and help manage blood sugar and diabetes. Home Bistro’s meals are designed to meet the nutritional guidelines of the American Diabetes Association, making them an ideal choice for people with this chronic condition. Whether you’re pre-diabetic or have type 2 diabetes, the Balance-Diabetes meal plan offered by Diet-To-Go can enable you to eat healthier and keep your blood sugar in check. Every dish contains fewer than 45 grams of carbs and more than 15 grams of proteins. The meals are prepared by experienced chefs to be high in flavor while limiting calories, fats, and carbs. They can help you lose weight and feel much better about yourself. Medifast is a healthy meal delivery service that puts great attention to health sensitive groups, seniors, and people with either special medical or nutritional needs. With this company, you can choose from over 70 different options while creating your individual meal plan, ranging from shakes and fruit drinks to bars, soups, and brownies. All its meal plans are suitable for people with type 2 diabetes while those with type 1 diabetes should consult with its medical team before ordering. 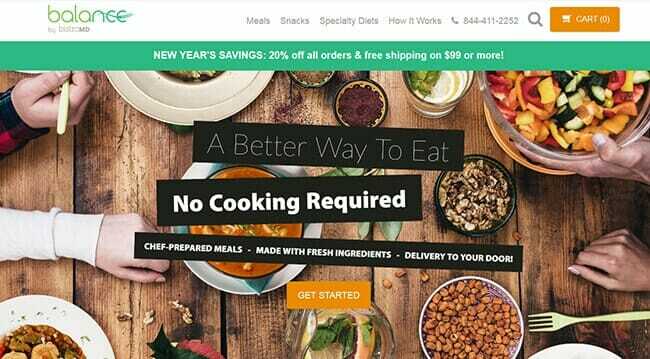 Magic Kitchen is a meal delivery service that caters to a wide set of specific dietary needs and creates meal programs that are very tasty and easy to incorporate into your lifestyle. Its diabetic menu is a great option for people who are suffering from diabetes, trying to prevent it or are just interested in getting their hands on a tasty meal program that can help them stay healthy. Personal Trainer Food is a perfect meal delivery service for diabetic or pre-diabetic individuals. Its meals allow you to maintain a Paleo-friendly diet and lose weight while managing your sugar levels. Personal Trainer Food diabetes-friendly meals are low in sodium and don’t contain pork, dairy, and gluten. Orders are highly customizable and all the nutritional info is available on the site, so you can tailor your personal plan to your dietary needs. Mom’s Meals is a meal delivery service focused on providing high-quality food to individuals who are unable to cook for themselves (seniors, individuals with chronic disease or recovering from an illness…) or just need some assistance with meal preparation. The company features a diabetic-friendly program with fewer than 75 grams of carbs per meal. The program is designed by a diabetes dietitian and offers a wide variety of delicious meal choices you are sure to enjoy.